"The chair created by Will Lee has added a whole new dimension to storytelling at Mayespark Primary School; a unique and eye-catching feature, it has become the focal point of many storytelling sessions. Upon its arrival the children were filled with awe and wonder at this marvellous creation. Animals and books had been skilfully carved from a beautiful piece of wood. The craftsmanship of the chair and accompanying benches is outstanding, This bespoke playground furniture is ideal for children and has exceeded our expectations. Mr Lee has certainly created a masterpiece!" "Working with Will to create BEAR's cave was grrreat. Although Will seems like a tough chainsaw carver guy he also is incredibly creative and able to envisage how to best realise your brief. 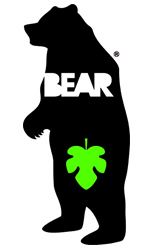 We asked Will to help us transform our whole 3 floors of office space in central London into BEAR's cave (down in the deepest darkest woods) with carved trees, signs, creatures and picnic tables. Will instantly got the idea and more than delighted us with the results. He really cares about quality and is unbelievably talented. I'd highly recommend working with Will and giving him creative input in the project. He's also a great guy you can really trust to deliver." "We lost a 400 year old Pinus Radiata and, as suggested by Gristwoods and Toms, we contacted Will Lee to see if the tree could have some kind of legacy. Will listened to our half-cocked schemes and came up with some ideas that suited. In the end we settled on a couple of picnic tables and the main trunk was carved into a seating area (with features of the natural world). The works surpassed our expectations in both form and function, they are STUNNING. The "picnic tables" are a diurnal table and a nocturnal table with proud and relief carvings that draw you in, the "main trunk" is packed with carving that make you smile and the position of the trunk promotes reflection. They are the focal point of the grounds and they are perfect. We never tire of looking at them and they are the first things our customers notice (plus they are a joy to use). Part of the pleasure we derive from these works is that they were created by someone so lovely with a very special talent, Will is a bag of fun, just feed him chocolate to keep him sweet." It's now two weeks since completion, and our "Boating Bears" are proving a really firm favourite with children and adults alike. Every day there are dozens of small children climbing all over them, patting them and talking to them, while parents take photos. FOCRG and JDM Estate agents are absolutely delighted with your artwork. Your imagination and technical skills exceeded all our expectations and it was a pleasure to meet and work with you on this event. You will be pleased to know that here have been several enquiries from people about private commissions and people are also asking whether FOCRG can raise more fund for further work in our woods. Once again, many thanks for putting Whyte's Woods, Chislehurst on the map. 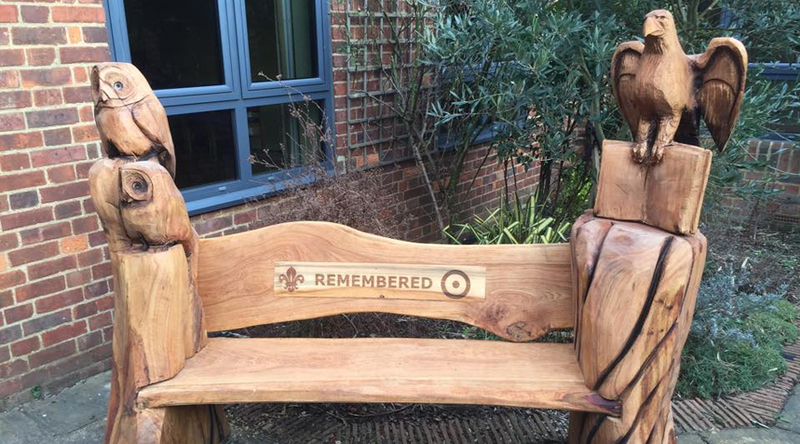 Will has left the school a wonderful legacy of wood carving. He adapted ideas to fit really well within our school, for example by an entrance point 2 diseased Oaks became 3 bears, one is being carried by the parent and he has a little rucksack on his back, this has become a local landmark. His archway entrance to the woodland area is magical, with owls peering down and the name of the woodland carved into the sign. A group of children designed a totem pole based on wildlife, liaised with Will and were delighted by the result. I recommend him highly. “London Play is the umbrella body for play providers in the capital. We’ve used Will’s sculptures for many years as a key part of our natural play area designs for local authorities, schools and community groups. Without exception his work has been of the highest quality, with outstanding craftsmanship, lovely eye for detail and lots of style and character. Highly recommended. " Max Mueller, Director, London Play (Design). Will has produced a wide range of interesting and captivating products for our parks in Hertsmere, examples include a film and wildlife maze, giant acorn, bird table, animals and seating. Despite the variety of the pieces, the one thing they have in common is the quality of the finished sculpture. We have also used him to rub down and oil ornamental oak benches. We would recommend Will’s Chainsaw Carvings to improve and create interest in your environment.